Desperate and Dateless The idea of this function is to have everyone look as feral as possible. The local Op shops do great business in the lead-up with 'found items' like a gold sequined, 80's brides maid's dress, used grandpa slippers, old school jumper or fluro tights. Every girl's name is put in a hat and every boy chooses a name. The ladies then wait in their room until their date comes to pick them up and take them to dinner in the dining hall. Night of Stars Night of Stars is Duval's annual talent night. It is a chance for people to show off their talents - or lack of - and there are prizes for best dressed and best act. It is always a very entertaining night. Guest Speaker Dinner This formal dinner is always interesting and inspirational. Ex-Duvalians return to college to give insight and relate their experiences post college. Previous Speakers include Ms Mary Grace, Director of Human Resources at the RTA, Ms Susan Sims (Frater), a participant in the recent 2020 Summit, and Ms Anne Plunkett, Chief of Protocol, and former Australian Ambassador to Ireland and non-Resident Ambassador to the Holy See. Christmas in July Get out your Santa Suit, or your elf shoes, or simply come in Red and white stripes as a candy cane! Don't forget to buy and wrap a present to go under the Christmas tree. There's always a mad rush to get the biggest present, but remember good things come in small packages. A traditional hot meal is served with pudding as dessert, and then there is dancing in the JCR to those good old carols! Duval Ball and Recovery This themed, formal night takes months of preparation. 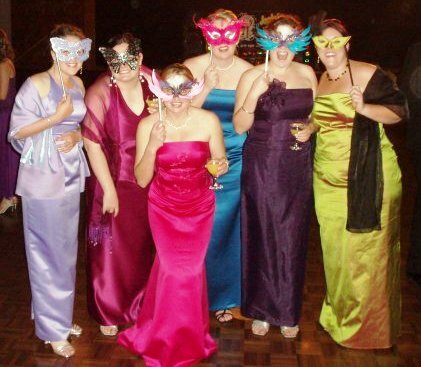 Held at an external venue, the Ball is a chance to get dressed up, have a lovely meal and a proper dance. The day is frenetic with preparation, decoration, ironing, polishing, dressing and perhaps a quick champagne before formalities! The day after Duval Ball is Recovery. Everyone wanders down to the courtyard for a BBQ, beverages, and to listen to a band. 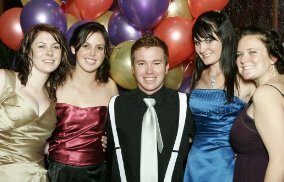 The day is filled with activities, from a paddling pool to table tennis — it's a great way to relive the night before at the Ball ... or maybe try to remember! DuVegas Get out that feather boa, or that smarmy suit and gangster hat, and get ready to win the big bucks! Fake money and cocktails, fake card games and roulette ... the theme is Vegas and it's an awesome night! Duval has a strong connection to proud sporting traditions of both UNE and the greater Armidale community. The SportUNE complex is within walking distance of the college and has some of the highest standard facilities in Australia with expansive outdoor playing fields, basketball courts, tennis/netball courts, pool and modern gym. In addition, the college's own gym allows students to keep themselves in great shape in between times. 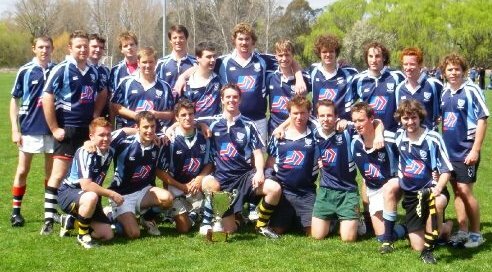 The Armidale Blues Rugby Union Club enjoys strong community support within Duval College — we have a strong affiliation with this local rugby club. Great life-long friendships have been forged through the Club. The Kayaking Club sends a group of paddlers and land crew to participate in the Hawkesbury Canoe Classic fundraising paddle. It's an amazing, memorable and challenging experience for all. The Duval College Sports Council coordinates the college participation in inter-college and town based sporting competitions. Just about every sport you can think of is played somewhere at UNE! The Council also arranges College merchandise, including Duval jerseys, shorts and socks. Duval College celebrates the rich, individual talents and multicultural influences of our diverse student community who come from all over Australia and the world. Themed international nights The College holds themed dinners throughout the year including Japanese, Italian and Mexican nights to profile and highlight different cultural influences. Inter-College events The college is also a great competitor in the annual Sir Frank Kitto (SFK) intercollegiate cultural competition. The SFK competition allows students to extend and develop their talents in a wide range of areas. Your SFK rep at Duval organises events by setting up dates, venues and finding trainers, teachers and judges with expertise in a specific area. Each year the quest for the SFK trophy concludes with a great finale Performance. Night of Stars An additional highlight at Duval College is our Night of Stars. This is a talent night that allows students to perform in front of their fellow college members with song, dance, comedy or just by having a go! Duval College prides itself on its engagement with the community in which we live. Our residents are involved in many community, charity and fundraising activities such as Shave for a Cure, Australia's Biggest Morning Tea and The Oaktree Foundation. world. Child sponsorship As part of these efforts Duval College sponsors child, Manko, from Somalia. 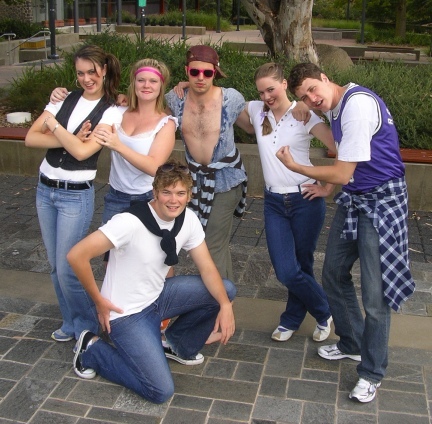 Each year in O'Week we hold a Slave Auction to raise money for Manko. First year students are put into groups and are auctioned off to the rest of the college for a few hours. Couth Day Students dress well and behave well — or else make a donation to a specified charity. Trivia Night Our annual Trivia night raises money for College scholarships, awards and bursaries. 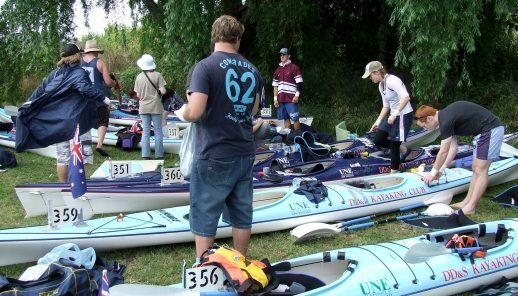 The beacon of Duval College's community work is the Kayaking Club's involvement in the Hawkesbury Canoe Classic. For 17 years the Colleges of Duval and Drummond & Smith have participated in the 111 km overnight paddle from Windsor to Brooklyn. The effort raises funding for the Arrow Bone Marrow Transplant Foundation. Participants have the option of entering as either a paddler or a member of the land crew. If you want to push your limits, this event is your event, the Kayaking Club is your club. It's a great team experience and you'll be part of a great family of team members who are determined to get every paddler over the finish line! 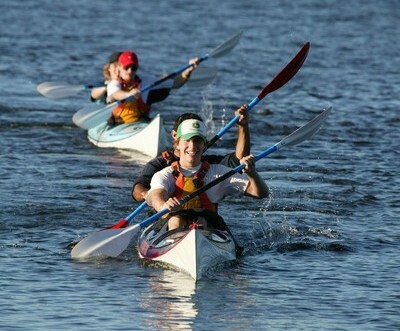 Students who accept the challenge find that the Hawkesbury Canoe Classic can be the teacher of many of life's lessons. As part of your residential experience in Duval College you have the opportunity to participate in a professional development and leadership program within our Living and Learning Community. This program is a unique extra-curricular opportunity designed to develop a broad range of knowledge and skills to enhance your university experience and give you an edge in your transition from study to a professional job. This program is run in tandem with your degree program, be it medicine, law, teaching, science, arts, business, etc and is designed to develop your career skills progressively over three years; commencing with Level 1 in your first year through to Level 3 in your third year in college. As a general rule to participate in this opportunity you need to commence the program at Level 1 and work through each level in sequence. Each level is supported by online learning resources in Moodle, Senior Common Room engagement, and a number of face-to-face workshops and personal reflection activities. The weekly College study night 'Might As Well Monday' involves all students bringing their books, notes, and their laptops to the dining hall to study together. Mentors are on hand to help with any questions and to help get the brain working. The College honours academic excellence in a visible way. Awards for Highly Commended Academic Achievement (Silver) and for High Academic Achievement (Gold) are displayed on the Honour Boards in the College dining hall. Along with this public recognition, the silver award for achieving a Credit average and gold award for Distinction average or higher, offer monetary reward as well, donated by the Duval College Senior Common Room (SCR). A foundation stone of the academic support program at Duval College is the Academic Mentor team. 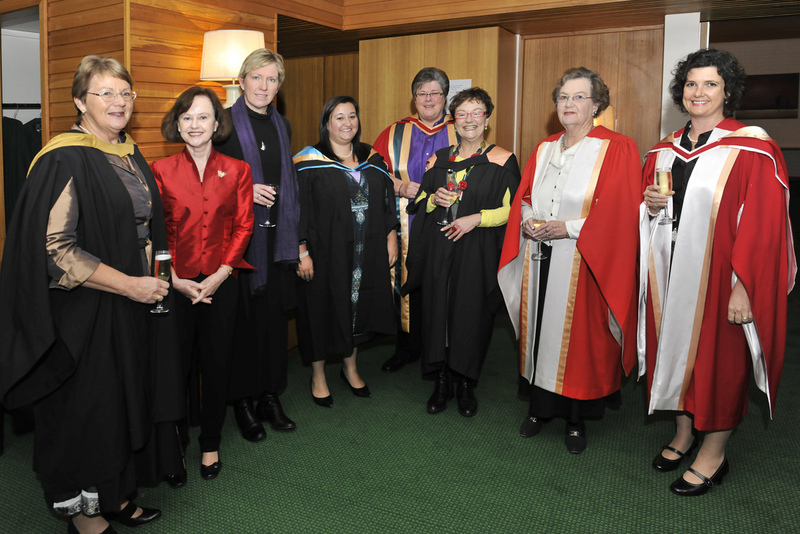 The Senior Academic Mentor and Academic Mentors from various faculties have consistently achieved high academic success. They undertake training in academic skills such as essay writing techniques, tackling plagiarism, communication and organisational skills. Each week the AMs, supported by the SCR, run formal academic sessions for their students in the dining hall. In Duval, I can get a lot of academic support from the college mentors. This is very critical for me as I am an international student. People in Duval College are very friendly and helpful. Another important part of the Duval academic support network is the Senior Common Room; a group that provides a link between students, faculty support, and the community. The SCR meet every month to discuss and plan ongoing mentoring and activities for all students, and are actively involved throughout the year with the Professional Development Program. The Senior Resident Fellow (SRF) is primarily responsible for helping the College Principal in supporting you during your time at Duval. This role involves working closely with the Resident Fellow and Academic Mentor teams to ensure the best pastoral care possible is on offer to residents. Supporting the SRF are eight appointed Resident Fellows undertaking two main functions. Firstly, a Resident Fellow is allocated one or two Staircases and is responsible for the academic, cultural, social and sporting wellbeing of the members of their Staircase(s). Out of College Office hours the Resident Fellow is also responsible for the security of the residents and the College premises and to see that social activities do not disturb other students. At all times a Duty Resident Fellow is rostered on to deal with the running of College outside normal office hours. The Duty Resident Fellow is your help in an emergency, if you have locked yourself out of your room or if you need any other immediate practical assistance.